Saturday In England, Verne writes about his activities while on a pass in London . . . .
03-03-45 Up at 11, took a bath and started looking for silver embroidered wings.1 Found some at Leahy’s tailor shop and sewed them on my blouse. Had an Indian dinner of rabbit curry. Hotter than heck. Almost burnt up. 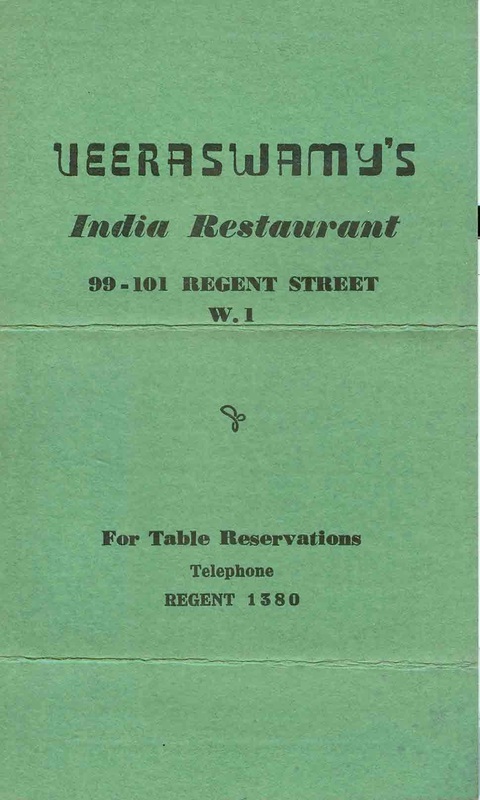 Picked up menus to send home.2 Three air raids in London. 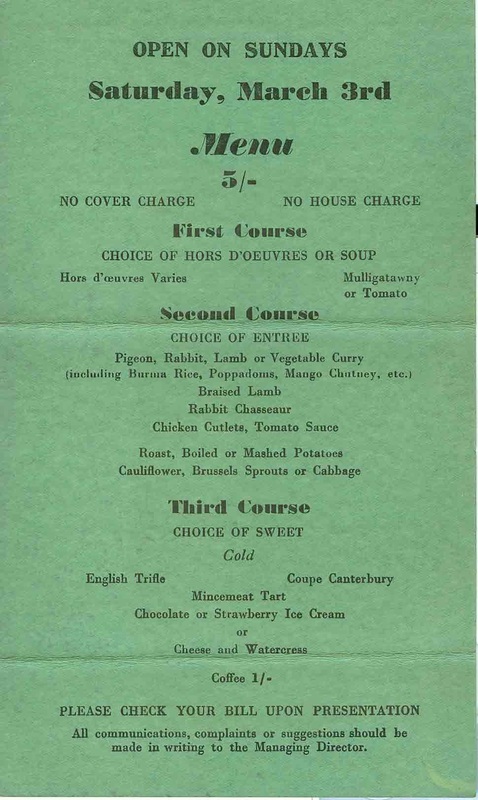 This entry was posted in Uncategorized and tagged curry, Leahy's, rabbit, Veeraswamy. Bookmark the permalink. 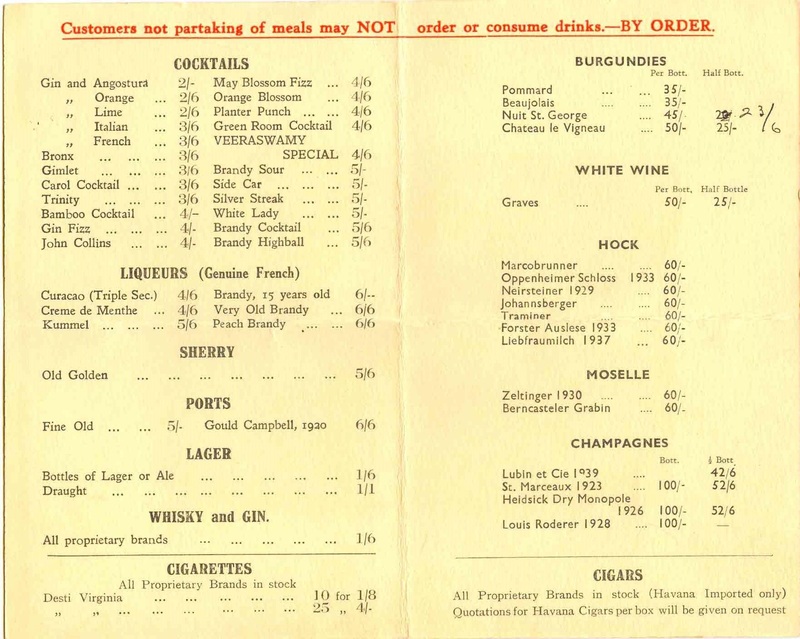 I noticed ‘kummel’ on the wine list. I used to like it a lot but it is now very hard to find. I hope he enjoyed his meal even if the curry was hotter than heck. 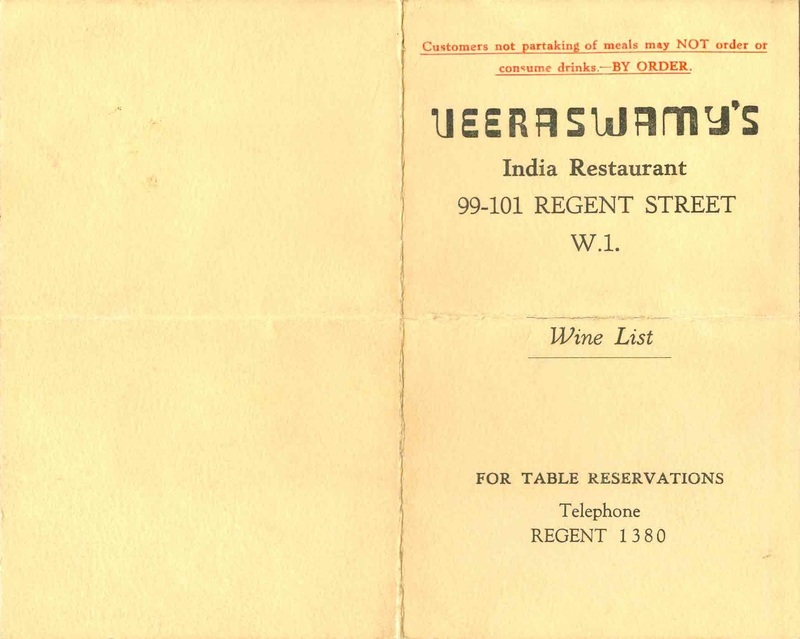 I feel certain that dining at Veeraswamy was quite an experience for Verne. I think that is why he saved the Veeraswamy menu and sent it home. He didn’t want forget the evening and he wanted to share it with his family. Like so many of those going to war from the United States, Verne and Wayne came from “small town America”. There hometown’s population in 1940 was but 12,250. Their grandparents lived in Denver which had population of 322,000; the total population of his home state, Colorado, was only 1,123,000. Wayne and Verne had been to Los Angeles, which had a population of 1,500,000, to visit their mother, but none of this compared to the Greater London area which had a 1939 population of 8,615,000.